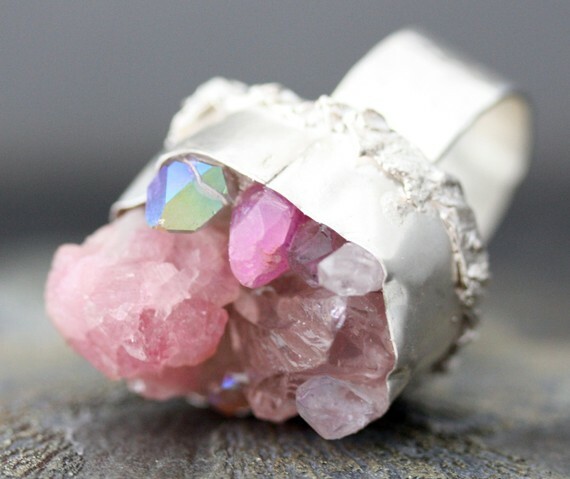 I've been into raw crystal jewelry for a while now and I have several gorgeous pieces that I love to bits and wear all the time. 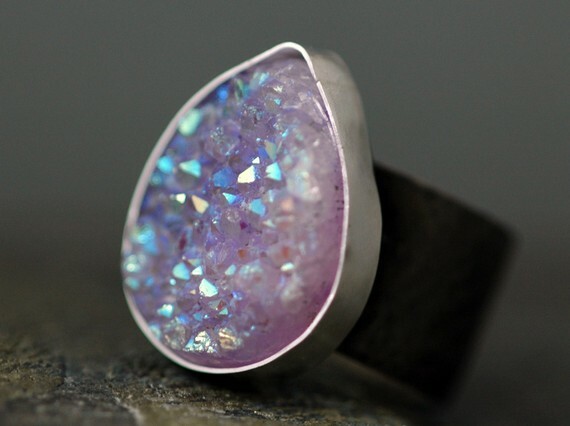 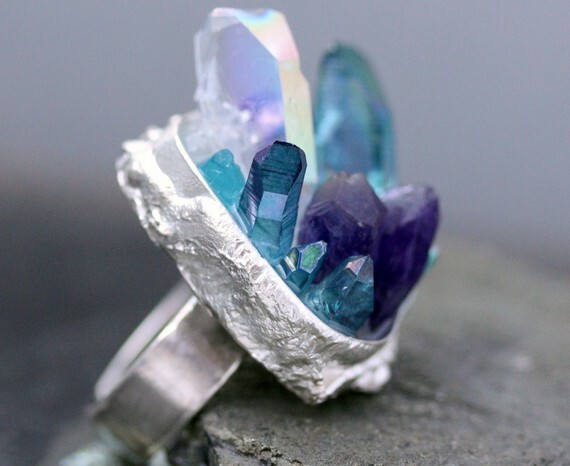 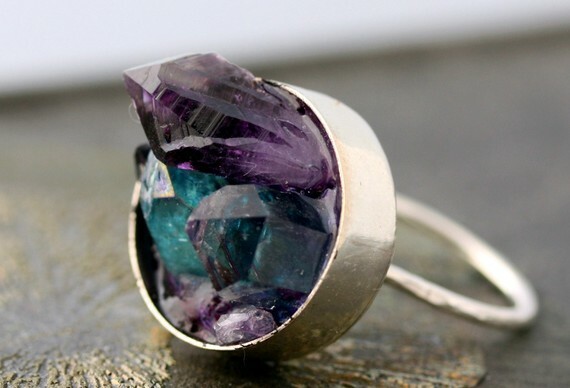 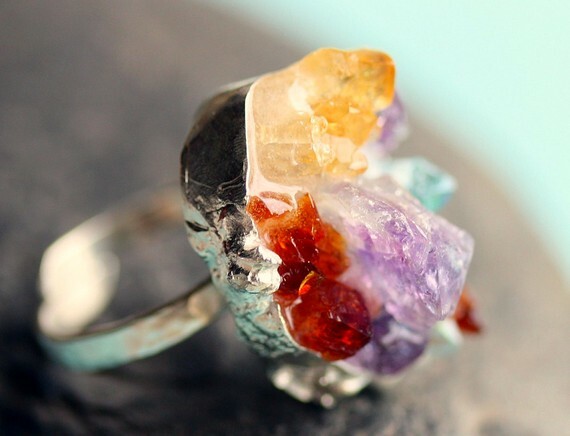 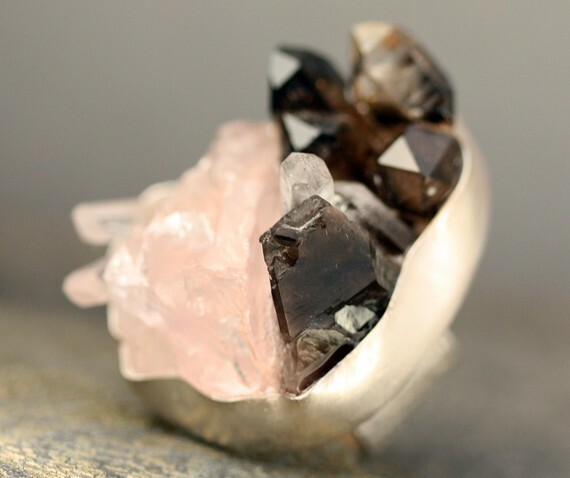 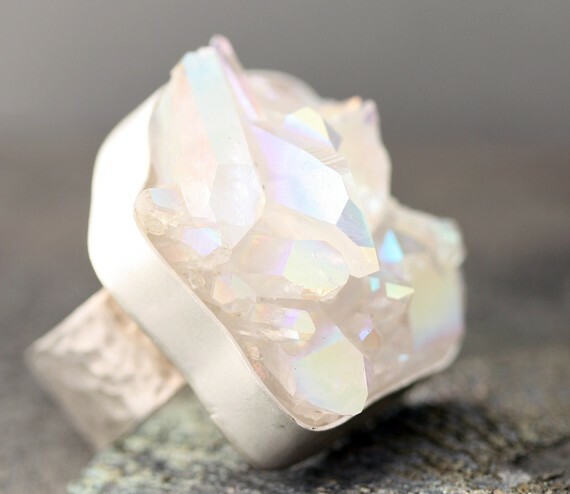 One thing I don't have though is a mixed crystal ring! 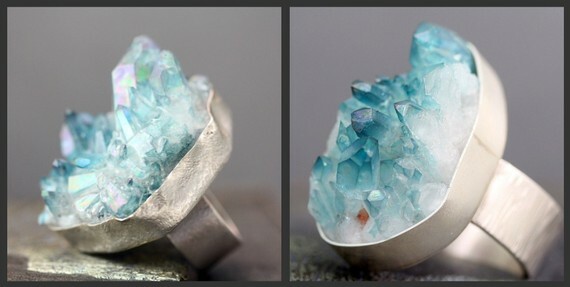 I've been browsing them on etsy and have fallen for quite a few, all from the same seller. 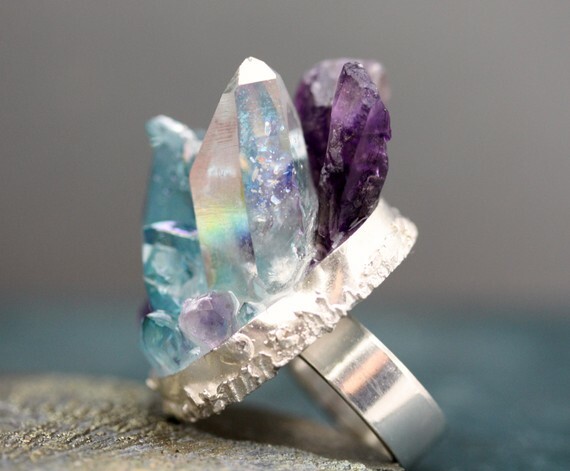 Custom mixed crystals in out of this world color combos from Specimental on Etsy here.